Internal struggles and external threats to the industry itself will continue to be the two biggest challenges banks face heading into 2018. In its recently released report, “Predictions 2018: Financial Services Companies Get Serious About Digital Transformation,” Forrester projects that, as regulators continue to promote competition, most banks will spend the coming year working on new and improved strategies to win, serve and engage customers. To differentiate their brand and remain relevant to customers in 2018, banks will need to focus on these three bank marketing strategies. Cozy up to your customers. People act on their emotions. To understand what makes them tick, your bank will need to use digital tools to discover how and why customers respond emotionally to your products and services. You’ll then be able to craft targeted marketing messages that personally resonate. Embrace the internet. Digital marketing strategies like search engine optimization, pay-per-click advertising, and content marketing offer fantastic opportunities. As traditional in-branch brochures and other advertising take a backseat, social media (especially on mobile platforms) will be where customers head to find the financial solutions they’re looking for. Your website is the resource people most trust and rely on for information and advice, so use it to educate them about how you can help them achieve their financial goals. Value through automation. Automating and digitizing repetitive processes not only boosts productivity, it facilitates regulatory compliance and leads to more efficient work flows. 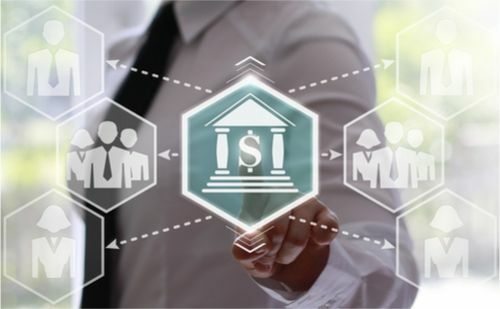 Banks that want to maximize the customer experience should use CRM software that helps them manage customer relationships and automate day-to-day bank marketing efforts. Embracing digital strategies for bank marketing is not a new idea, but it’s never been more urgent. As digital innovation continues to change at the speed of light, it will be more difficult for banks to keep up. But if you continue to use digital advances to create value for your customers, you’ll position your organization to compete effectively and capture long-term growth. See You in Vegas for the 2018 LeadingRE Conference Week!